Any sweepstakes, contests or promotions (collectively, “Promotions”) that may be offered via any of the EarnHoney.com Sites may be governed by Additional Terms, which may set out eligibility requirements, such as certain age or geographic area restrictions, terms and conditions, and details governing how your personal information may be used. It is your sole responsibility to read all Additional Terms to determine whether or not you want to or are eligible to participate, enter or register in or for the Promotions. By participating in a Promotion, you will be subject to the Additional Terms and you agree to comply with and abide by such Additional Terms and the decisions of the sponsor(s) defined therein. The Third Party Outlets are in no way associated with the Company’s Promotions. Points can be earned in a Rewards Program by participating in certain Activities, as described at or about the applicable EarnHoney.com Sites. If you choose to participate and follow the instructions associated with an Activity, upon satisfying all of the requirements of the Activity, you will be awarded the points associated with completing that Activity. There may be limitations on Activities and rewards, so please be sure to review all applicable Additional Terms before deciding whether or not you would like to participate. For example, we reserve the right to request receipts of completed purchases prior to or after the awarding of HoneyDollar$ in order to verify with the applicable merchant that such purchases are valid. Some of the limitations on Activities and rewards include (without limitation), our right to change or limit your ability to participate in certain Activities or the Rewards Program itself; our right to change or limit the allowable frequency of Activities; our right to change or limit the number of points you can earn for a given Activity; our right to change or limit the number of points you can earn during a given time period; our right to change the Activities or rewards available, or the number of points required for a particular reward. You may redeem points you have earned for rewards offered in a Rewards Program pursuant to the applicable Additional Terms. Supplies may be limited. Rewards are awarded on a first-come, first-serve and while-supplies-last basis. If you attempt to redeem points for a reward and the Company determines that the reward is unavailable, out of stock, or for whatever reason cannot be provided to you, the Company may, at its sole and absolute discretion, award you a reward of equal or greater value. No credit, reversal, or refund of points will be issued for any reason after points have been redeemed; in other words, once you order a reward, you may not cancel the reward or return the reward for a refund of points. Points earned are only redeemable within a Rewards Program. Points are not your personal property, and are not descendible, may not be inherited, bartered or sold to any third party. The only way to use points is to redeem them for Rewards Program rewards through the EarnHoney.com Rewards Store at the following URL: http://www.EarnHoney.com/rewards-store. Products made available for rewards may be refurbished or “irregular” products. You are solely responsible for all federal, state and local taxes and any other costs or expenses of accepting and using the reward. Some rewards may have eligibility requirements and the Company reserves the right to verify your eligibility qualifications prior to fulfilling any reward. Rewards may be emailed to your email address or mailed to the U.S. postal address, as applicable, that you provided when you registered for your Account or to the email or U.S. postal address that our records show your Account was last updated to reflect. Processing times may vary. Rewards that are undeliverable for whatever reason (including, without limitation, because your Account information is incorrect or outdated) will not be re-sent and are forfeited, and the points will not be refunded. 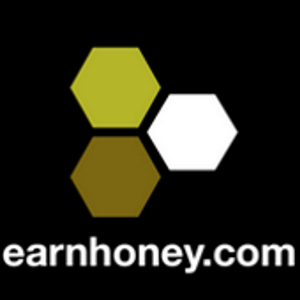 You acknowledge that the EarnHoney.com Sites have been developed, compiled, prepared, revised, selected and arranged by the Company and others through the expenditure of substantial time, effort and money and constitutes valuable intellectual property and trade secrets of the Company and others. It is our policy to enforce our intellectual property rights to the fullest extent permitted under law. The trademarks, logos and service marks (“Marks”) displayed on the EarnHoney.com Sites are the property of the Company or third parties and cannot be used without the written permission of the Company or the third party that owns the Marks. The Site is also protected as a collective work or compilation under U.S. copyright and other foreign and domestic laws and treaties. Users are prohibited from using (except as expressly set forth herein), transferring, disposing of, modifying, copying, distributing, transmitting, broadcasting, publicly performing, displaying, publishing, selling, licensing, or creating derivative works of any content on the EarnHoney.com Sites for commercial or public purposes. Nothing contained herein shall be construed by implication, estoppel or otherwise as granting to the user an ownership interest in any copyright, trademark, patent or other intellectual property right of the Company or any third party. The Company exclusively owns all worldwide right, title and interest in and to all documentation, software, contents, graphics, designs, data, computer codes, ideas, know-how, “look and feel,” compilations, magnetic translations, digital conversions and other materials included within the EarnHoney.com Sites and related to the EarnHoney.com Sites and all modifications and derivative works thereof, and all intellectual property rights related thereto. a statement by you that the information provided in your notice is accurate and, under penalty of perjury, that you are the owner of an exclusive right in the material or that you are authorized to act on behalf of the copyright owner. We will process each written notice of alleged infringement that we receive and will take appropriate action in accordance with applicable intellectual property laws. We have a policy of terminating and/or blocking repeat infringers in appropriate circumstances, in our sole discretion, subject to reasonable limitations.